Insanely popular tourist destination, overtly commercialized yet serenely beautiful – that is Manali for you in a nutshell. In no other hill station in Himachal Pradesh, besides its equally grandiose sibling Shimla, will you find so many jolly tourists in one go. And while it is commercialized, It doesn’t lose out on its sheen and glory because of that. Manali tourism offers a wildly exotic and spiritually mesmerizing panoramic view of the Himalayas, with the fast bounding River Beas in the foreground. The far off Dhauladhar and Pir Panjal Ranges are visible from here. It is mountain adventure and romance, all packed into one and this is probably what makes Manali holidays one of the most popular honeymoon destinations in India. Pleasant weather and exotic landscapes make this charming hill station a tourist magnet all through the year. From backpackers to luxury tourists to trekkers, there is something for everyone at Manali. Strategically located in the Kullu Valley, the Picturesque Manali offers umpteen opportunities of sightseeing. 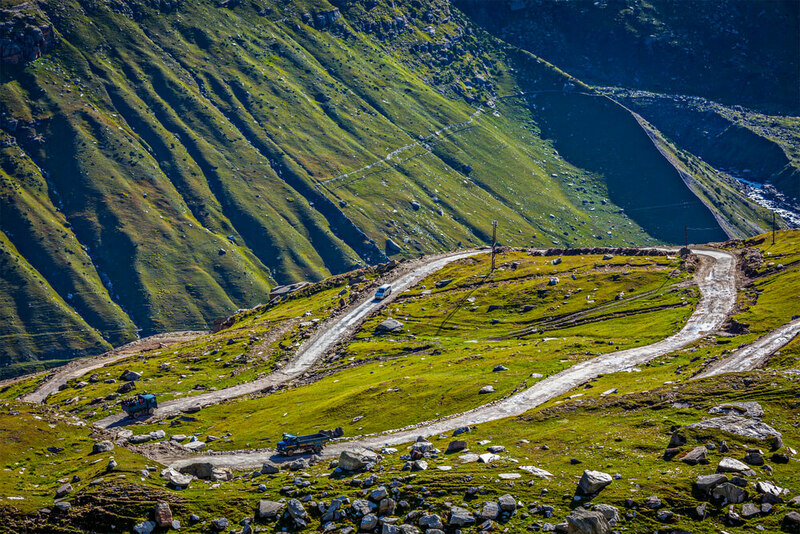 Making Manali a base, you could go to Rohtang Pass and Rohtang Valley. While the former is resplendent in its virgin snow-clad avatar, the latter offers scope for partaking in adventure sports. You could also visit the Hidimba Devi Temple or explore the Great Himalayan National Park, Bijli Mahadev, Bhrigu Lake, Pin Valley National Park, Manali Sanctuary and Pandoh Dam. Both the national parks offer a great opportunity to find out about the local flora and fauna. If you are lucky, you might just be able to spot a rare species of bird here. You could also venture out to Vashisth, known for its hot springs. Or explore the scenic and desolate Naggar, which is popular for its Naggar Castle/resort, where numerous movie-shoots take place. There is a horde of adventure sports here to get your nerves tingling. Tourists can indulge in paragliding, rafting, trekking and skiing. 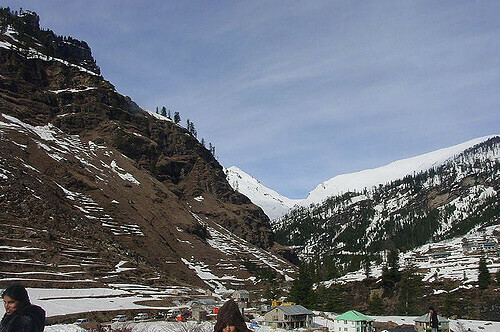 Manali offers ample scope for trekking along mesmerizingly beautiful trails. In fact, adventure sports are a big part of this tourist destination. The Mall Road in Manali is a busy stretch of market place where everything is available, from knick-knacks to winter garments. There are many eateries here where you can gorge on some mouth-watering delicacies. If you are visiting the Naggar Castle, be adventurous and try out the local cuisine. You won’t be disappointed. 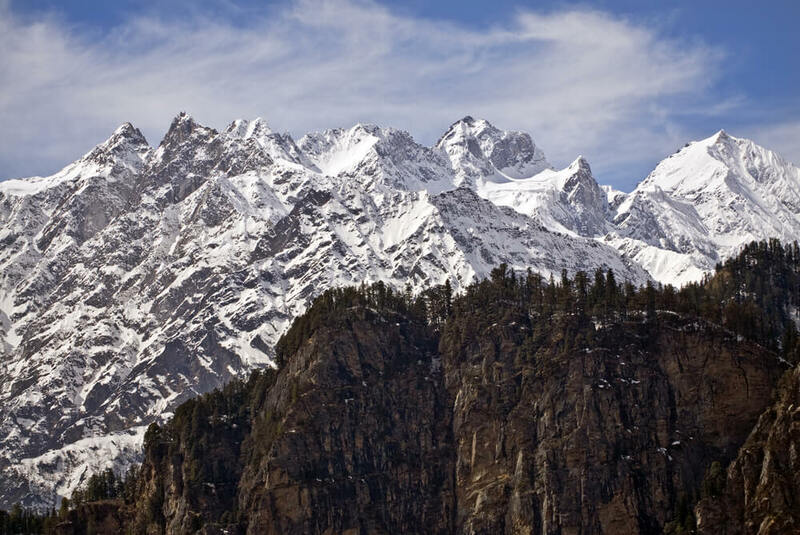 Plan your trip to Manali to experience wildly exotic and spiritually mesmerising panoramic view of the Himalayas.